the EZ stood for BASIC!!! I mean a passenger sun visor or side mirror was not included on this car. It had gray vinyl seats with a 4 speed stick shift and crank windows, but it was my baby…with all its 78hp glory. From senior year in high school, racing up and down the 110 fwy, back and forth from CA to San Antonio, Texas. For my high school friends, my Texas fam and my wife, you know this car put in work! But this entry is not about my baby, but rather the one that stole my heart. Folks this is simply a love  story. A story about how I fell in love, with a little roadster from Japan. 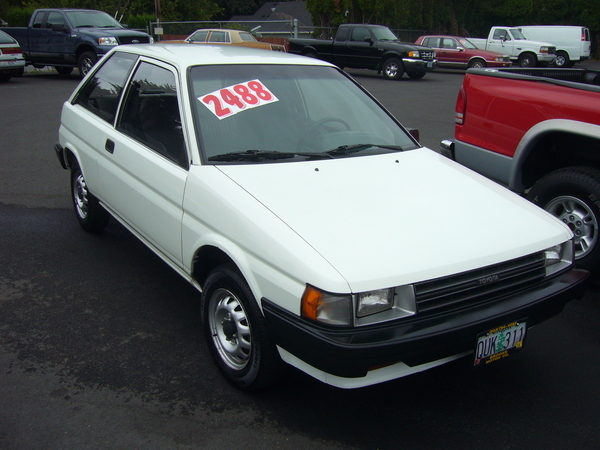 It was around 4:30 am and I’m heading to work at the Aerospace Corp in my white 88 Tercel hatchback. Cruising westbound on the 105 fwy bumping that new Lethal Injection from Ice Cube, because that’s just how I roll. It was dark and there were only about 5 cars on the fwy because no one gets up that early. I was crossing the 405 and nearing my exit on Sepulveda when I saw a little red convertible sports car zipping by me. “Is this guy’s top down at 4:30 am? What a nut!” As I neared the Sepulveda exit, drops of water began falling from the sky and my thought was, “this guy is about to get soaked.” He takes the exit ramp in front of me, and as he was pulling up to the red light the rain is starting to come down. He reached back with his right hand and with one motion pulled the convertible top up over his head and latched it closed just as the red light changed to green. I mean, he never even stopped the car! It was a flawless execution. Was he doing a commercial for Mazda? My eyes lit up just like that kid Ralph in “A Christmas Story” whenever he described the “official carbine action 200 shot range model air rifle…ooooh!” I was blown away! I thought to myself that I had to have one! 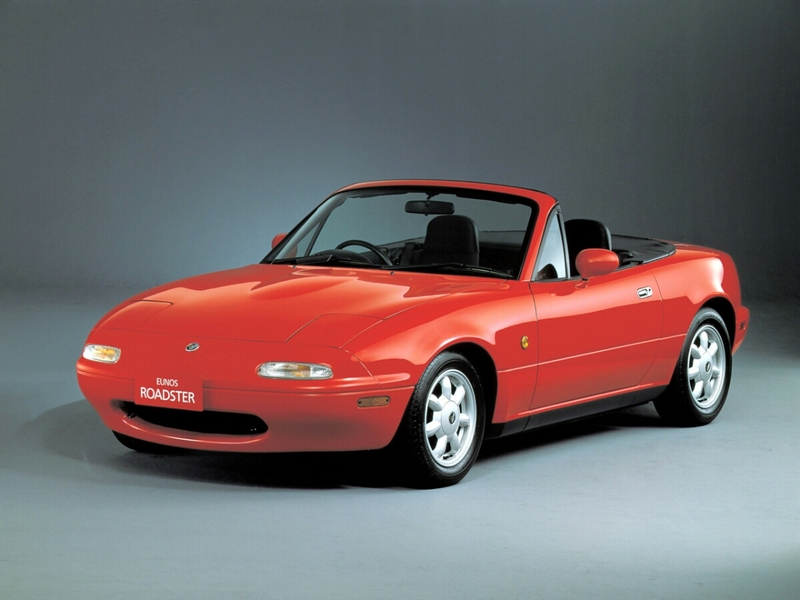 It was at that exact moment a new love had been born…Miata! Fast forward some 20 years and who knows how many cars later and I finally get up close and personal with the infamous well-balanced Miata rosdster. One day the guy at the end of my block had his garage open. He had an Orange Lotus parked in front of his house and was working on a Miata in the garage with another guy that looked to be his twin. Me being nosey me, I decided to walk my dog down there to see what was going on in my neighborhood. Now usually in Corona you don’t hear Too Short playing in a garage, especially from the garage of a white guy that drives a Miata, but this was my introduction to the infamous Brothers Wilde. I introduced myself and my interest in their cars while trying to remain calm and nonchalant, but good old Christmas Story Ralph was inside me just as giddy as a Christmas day. After a bit of conversation I was invited to come check out Adams Motorsports park, an outdoor go-karting track, from these guys I just met, to experience some Time Attack and drifting that goes on out there. Now between the two of them, they have probably bought and sold more Miatas, than you could count on all your little fingers on both hands, so the title Miata experts guru’s seems rather adequate. Well being the enthusiast I am I showed up at Adam’s that Friday night with my helmet in the off chance that I was courageous enough to go for ride along with someone. That night I got to witness some high powered cars racing and some amateur drifters sliding all over the course. There was some track mishaps with cars driving off the course up the hill and hoods popping up and spin outs galore! This was exciting but I then I saw it! I watched in amazement as a little red blur and a silver blur sped around the course Time Attack style and I got the warm and fuzzies in my gentlemen parts. It was my neighbor aka mx5msm and his brother riding shotgun and their buddy aleks024 in the other car…WOW! After their run, the invitation to ride along was presented to me and I jumped at it. Now putting my life in someone else’s hand is not the norm for me, but the life insurance policy is paid, so eh, what the hell! I strapped on my helmet, said a quick prayer and let the fun began. With a death grip on the door handle and me wearing out my imaginary passenger side foot-brake, I was blown away and the handling capabilities and balance of these little cars in semi stock form. The only thing he had at that time was suspension, a rollbar and an intake…thats pretty much it. 100hp never felt so exhilarating. Now throughout my driving years I had been use to piloting and rolling in much higher horsepower cars, Evo’s, Subies, TL’s and what not, so I was blown away to say the least at what I was experiencing. Turn after turn after turn, tires screeching with only the light from the Miata’s signature pop-up headlights illuminating the track as my neighbor and I were being run down by who I suspected to be Lewis Hamilton‘s driving instructor…aleks024! My grin only got bigger. My helmet tapping against the rollbar as we slalomed thru the tire section and the hairpin turns. This car was amazing! Truth be told, I may have soiled his seat a little bit, but that was his fault. This ride was life changing, I mean I felt…ALIVE. I know I’m rambling on, but all in all I HAD A BLAST and obviously survived to write about it lol. Anyway I was more motivated than ever to stack some cash to make a purchase of one of these little wonders. Thanks the Brothers Wilde for the invite and ride! So with that flame fueled and the search began. I joined a forum or two and after researching these cars and combing the internet for a while. I grabbed my cash and went shopping. A few test drives later, I ended up with a stock 91 NA BRG (British Racing Green) Special Edition Miata. I added a few parts to give it the Mike touch. 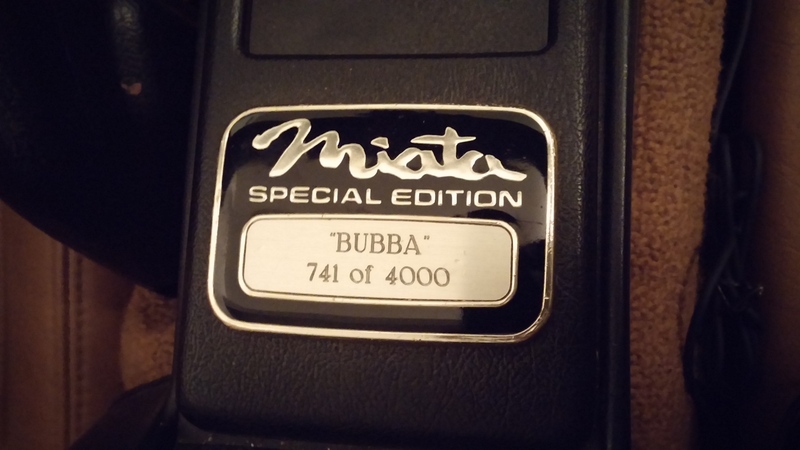 So now without further ado, I present to you…BUBBA #741 of 4000. Not the 1988 Toyota Tercel!! You made it a few places in the lil EZ though. I remember when you got lil EZ. You have come a long way from those days. I enjoy the Blog. Thanks for your thoughts.